An Original Dia De Los Muertos-Themed Opera Will Reunite Frida Kahlo And Diego Rivera On The Stage When It Debuts In Fort Worth In 2020. Just when you thought you’d heard the last of Frida Kahlo and Diego Rivera in North Texas, the Fort Worth Opera pulls them back into the game. In a press release issued yesterday, the opera company announced that it has commissioned The Last Dream of Frida & Diego, a new and original opera centering around Frida Kahlo and Diego Rivera’s tumultuous romance, Theater Jones reports. The musical work is set during the 1957 Dia De Los Muertos festival, three years after Kahlo’s death. 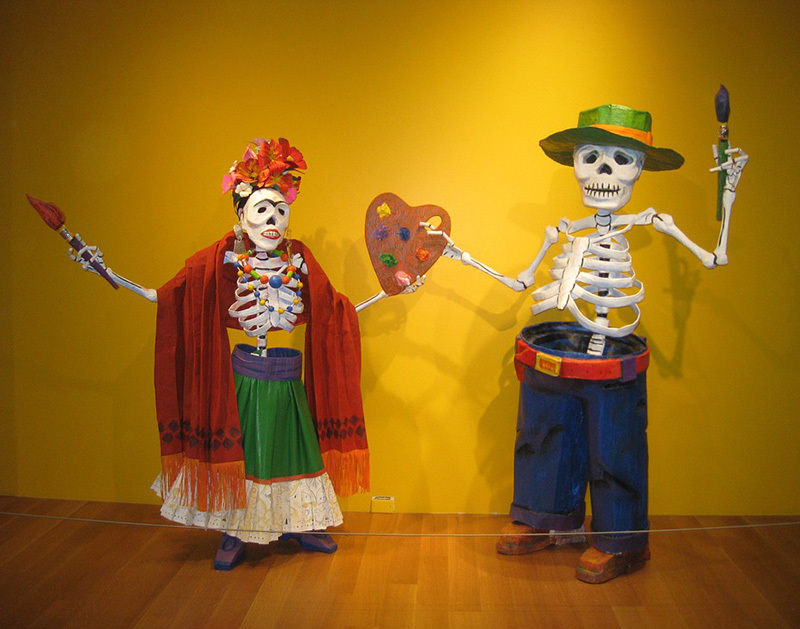 Diego meets Catrina, the keeper of souls in the afterlife, and the deity reunites the lovers for 24 hours, during which they must relive their rocky love through their paintings. The project is a collaboration between the Fort Worth Opera, the San Diego Opera, The College of Fine Arts at the University of Texas at Austin and DePauw University. The announcement comes less than a month after the special “Mexico: 1900-1950” exhibit closed its 18-week run at the Dallas Museum of Art, during which 125,000 people visited the exhibit. Among the many events surrounding that exhibit, the DMA also attempted to break a record for hosting the most people dressed as Kahlo during a single moment and drew well over 1,000 costumed attendees for the cause. Pulitzer Prize-winning playwright Nilo Cruz and Grammy-winning musical composer Gabriela Lena Frank have been tasked with putting together the story and sounds that will accompany the brand-new production. Next ArticleVice Palace To Release Even More Grant-Funded Tapes.